Digital converter boxes receive over-the-air digital TV broadcasts for viewing on TVs that do not have built-in digital tuners. 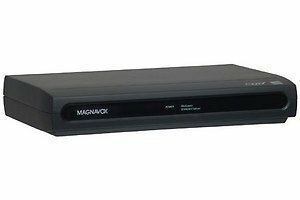 If you wish to keep using your analog TV set, you must purchase a digital converter box. Digital converter boxes are available at Wal-Mart stores nationwide. For additional information and to apply for digital converter box coupons, visit www.dtv2009.gov or call 1-888-DTV-2009. This box receives over-the-air digital TV broadcasts for viewing on a TV that does not have a built-in digital (ATSC) tuner. Additional features include a trilingual on-screen display, audio/video output, antenna input (F-type connector), and remote control.